I’m headed to Chicago. No, not a delegate to the NATO Summit, but expect to share the same traffic jams. 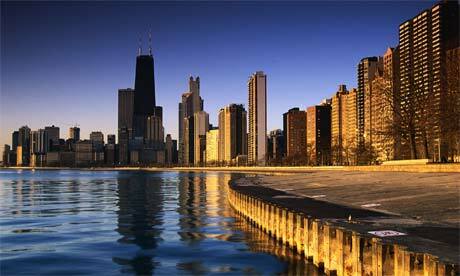 This weekend thirteen Open Source Initiative (OSI) directors meet face-to-face in Chicago. Three directors are recently elected, myself included, and a full agenda awaits. One of our most important activities is as a standards body, maintaining the Open Source Definition for the good of the community. The Open Source Initiative Approved License trademark and program creates a nexus of trust around which developers, users, corporations and governments can organize open source cooperation. The most pressing issue for the board today is moving the organization from a self-appointed group of volunteers to that of a member-driven organization, no small task, but an important one if OSI is to become most relevant. First the musings: Because I’ve been involved with open source adoption in Government nearly since Al Gore invented the Internet, I get a lot of questions about what the White House is thinking about Open Source. Joking aside, this has been present on people’s minds since the new administration took office. For those familiar with some of the appointees’ backgrounds, there was a hope that open source software would play larger role in Federal IT. * People got very excited when the White House web site moved to Drupal. I thought it cool too, and accepted that as a sign of more flexible thinking. At the same time, having run a technology policy office (at the state level) earlier in my career, I understood that moving a web site to an open source Content Management System did not constitute a major break-through in a complex IT acquisition environment where the greatest savings and efficiencies remain in larger investments in software development for systems unique (if not common within) government. On to the news: Yesterday’s United States Office of Management and Budget (OMB) memo entitled “Technology Neutrality” and signed by the US Chief Information Officer Viveck Kundra is a balanced and inclusive expression of options the feds should consider when procuring information technology. I’ll just take this as a win for a more balanced view, now institutionalized as advice to Federal CIOs. What’s next? I want to hear more about how the GSA may use use an open source cloud solution for that new forge.gov project. We all have our wish lists, that one is high on mine. * Viveck Kundra and Aneesh Chopra had extensive experience with open source in their respective roles prior to joining the Obama administration. See Kundra’s GOSCON 2008 Keynote presentation “Open Source as a way of Life”. CIO Magazine has noted Australia’s maturity in the Open Source Software in government, interviewing Gartner Research’s leading OSS analyst for that sector – Andrea DiMaio – in an article entitled “Public Sector Warms to Open Source“. It’s been over two years since the country released its “Guide to Open Source Software for Australian Government Agencies”. Sidebar: DiMaio will keynote at GOSCON (small shameless plug for an outstanding event) on October 16, 2007 in Portland, Oregon. We can expect to hear more on Australia’s leading effort, as well as the general challenges agencies face in adoption OSS (on the later, read: update internal skill sets). To his point, GOSCON will host a supplemental workshop on Open Source Policy Development. “Public sector and government organizations around the world are adopting increasingly mature open-source products, with Australia at the front of the trend. And while Gartner recently warned governments of all stripes about the need for a greater focus on establishing OSS policies, the Australian government is confident it has the matter well in hand.